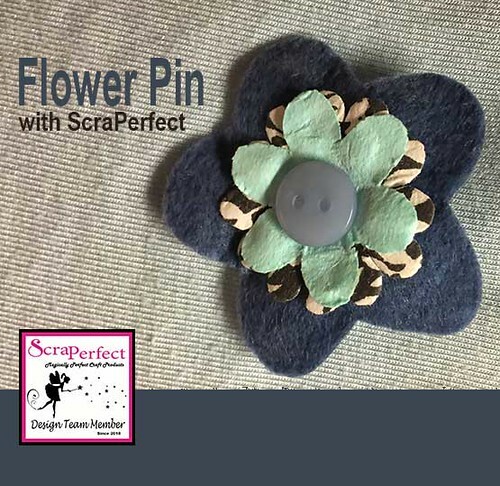 I created this beautiful floral pin using ScraPerfect's Best Glue Ever. It was really easy to put together and quick once I chose the color combination I wanted. 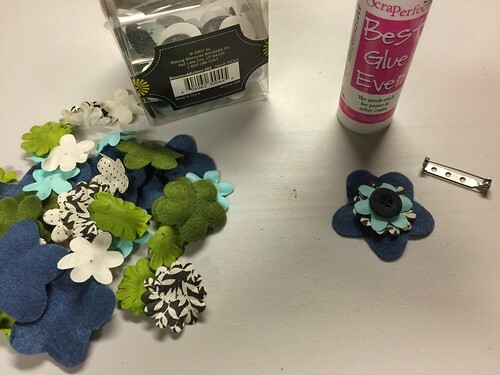 There are so many uses for making this easy floral pin. 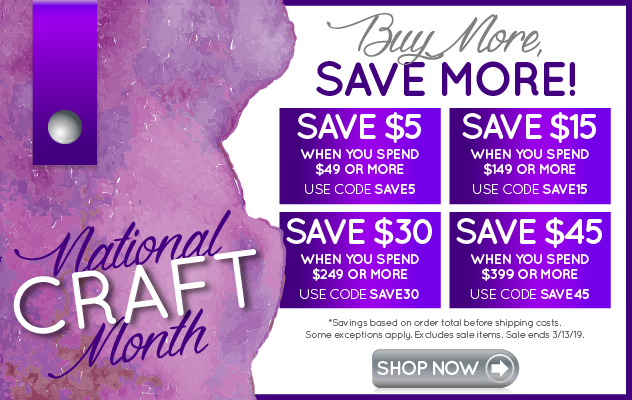 Crafting for Mother's Day, an easy child's craft, ladies luncheon, teacher appreciation day, and so much more. You can see choosing the color combination wasn't all that easy given the amount of variety possible. 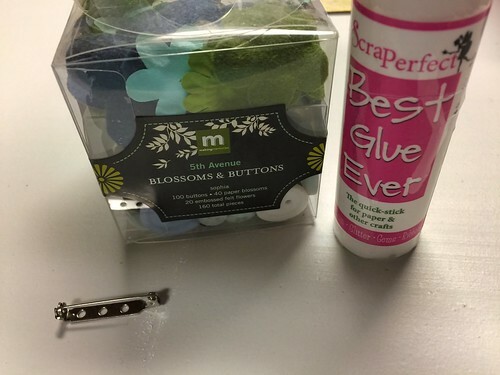 The Best Glue Ever with the addition of The No-Clog Writing Cap made this project very easy. 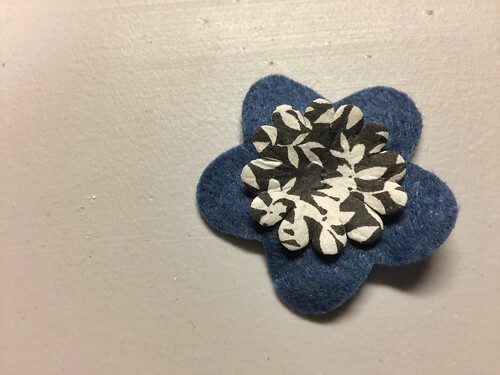 I layered the black and white paper flower on top of the felt flower. 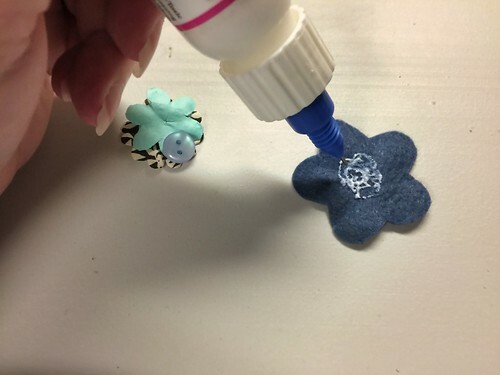 No need to wait for the glue to dry, I then added a light blue paper flower. And finished off this side with a blue button. I flipped the flower over and glued the bar pin in place. Just wait a bit for the glue to dry and it is done! A shortened version of this post is available on the ScraPerfect blog.